Since January 2011, vehicle registration certificates have also been provided in the handy format of a check card. Thus, the eVehicle Registration Card is not only a convenient alternative for the usual paper-VRC, but also stands out for its security features and high protection against forgery. Austria is one of the pioneers in this field within the EU. Of course, the eVRC conforms to the valid EU-guidelines and is therefore an internationally acknowledged document. 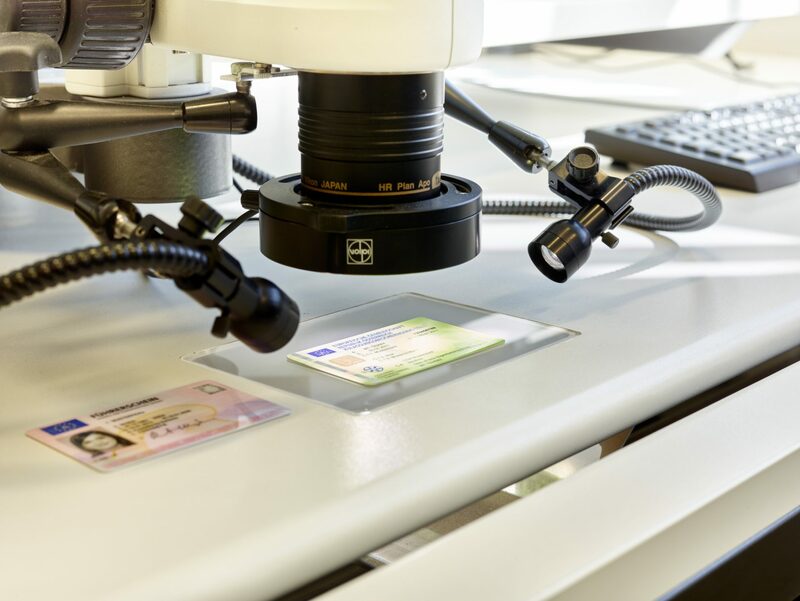 All data concerning the vehicle registration is integrated in the chip which is visible on the front side and protected by a digital signature. The most important information (owner, licence number, address, maximum loaded vehicle weight and other important data) is printed legibly on the new eVRC. The remaining data which is stored on the chip can be found on the interim paper-VRC which will be handed over immediately after application. 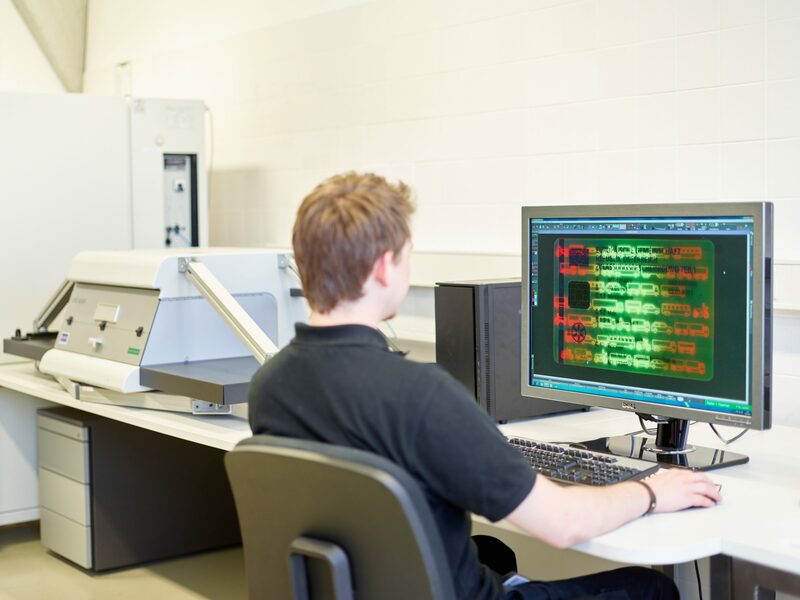 Thus the data on the chip is the same as the information on the paper format. The chip data can be read out with a standard reading device after the set-up of a “reader-application” (which can be downloaded on www.scheckkartenzulassungsschein.at for free). 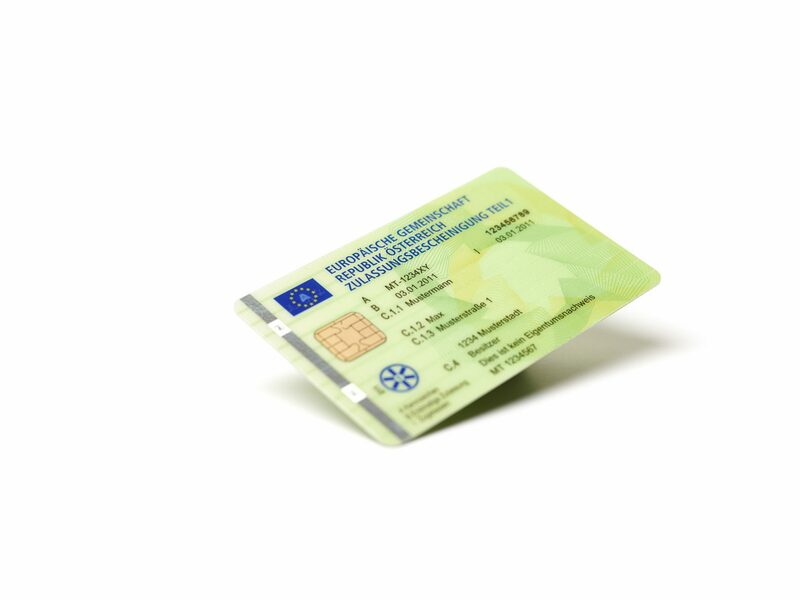 Besides the security features, the handy format (same size as the driver´s licence) and its robustness are further benefits of the new eVRC, which is six times smaller than the paper-VRC and therefore takes up a lot less space. The electronic vehicle registration card can be obtained at every registration office for a small fee.